A team of Durban software developers is in the running for a prestigious global award following their first prize win earlier this month at the South African leg of the Global Legal Hackathon hosted and co-ordinated by international law firm Baker McKenzie and HiiL. The event is the largest legal hackathon in the world and aims to create a platform for the rapid development of technology-based solutions in the legal industry. The six, who all work in the software development department of legal content and technology company LexisNexis South Africa, beat 8 other strong South African teams as they impressed a panel of judges with their pitch and presentation of their online dispute resolution and mediation solution named ‘Kagiso’ (‘peace’ in Setswana). They were put through their paces in a three-day event that kicked off with a meet-and-greet at Baker McKenzie in Johannesburg, followed by the task of formulating an idea and pitching it around a problem they would like to solve. Teams were given the task of developing a clearly defined, comprehensive idea either for Private Benefit (“The Business and Practice of Law”) or for Public Benefit (“Good government, Legal Systems and AI”). “Our team proposed an idea that worked impressively towards the benefits of both sectors. We produced a business case supported by market research, together with a simple viable product,” said Ezra Pillay – Compliance Author for Lexis Assure, who represented the Legal Information and Compliance division of LexisNexis and presented the final solution to the judges. His teammates were Craig Wymer – Artificial Intelligence Team Lead, Desigan Naidoo – Senior Software Engineer, Kavish Harilall – Project Leader: Technical Development, Niall T Graham – Data Analyst and Thobani Madonsela – Senior Software Engineer. Kagiso, Pillay explained, is designed to provide a cost-effective alternative to expensive and time-consuming civil court actions which currently are the cause of large backlogs in South African courts. It would typically be used by mediators, corporate clients and disputing parties who’s disputes arise from their mutual relationship. “Kagiso matches a dispute to an appropriate mediator based on system ranking, demographic (language) specific needs and uses blockchain technology to provide encrypted and unforgeable documents. It works on any physical or digital platform, and also produces court ready documents in the event of no settlement,” he said. 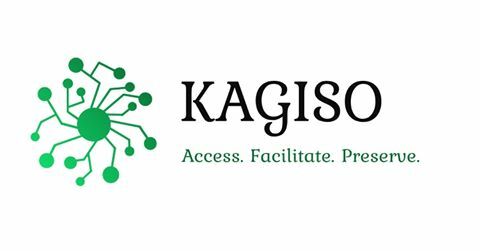 The potential of the Kagiso solution now sees them move onto the next phase of the hackathon – the Virtual Semi-Finals on March 15, 2019 where first-round winners from across the globe will submit their solutions as a video demonstration to the second-round judging panel. The Kagiso team will be competing against candidates from countries such as Argentina, Australia, Brazil, China, Germany, India, Italy, The Netherlands, Singapore, Spain, the United States and United Kingdom. Other African countries in the running are Kenya and Nigeria. On March 25, 2019, finalists from the first round will be announced and will move to the final round to present their winning idea. Round-two finalists will be invited to demonstrate their technological solutions to a live panel of judges at the Global Legal Hackathon Gala and Finals in New York City on May 4, 2019. The team described their experience as gruelling yet inspiring and motivating. LexisNexis Technology and Operations Director, Terrance Naidoo, said their colleagues are all holding thumbs for the team. “It’s pioneering, fresh minds like these that enable LexisNexis to continue being in the forefront of legal technology. Our aim is to meet the changing needs of our clients in this highly regulated and technology driven world. We’re very proud of the Kagiso team for staying true to one of LexisNexis’ five core values – Innovation – which sees us strive to deliver tomorrow’s software solutions, today, in line with advances in technology. This provides endless opportunities for young talent to apply their minds. We wish them the best of luck in the next round,” he said. For more information visit the “Kagiso – Dispute Resolution Platform” Facebook page at www.facebook.com/kagisodrp and the Global Legal Hackathon website at https://globallegalhackathon.com/ #GLH2019. Also follow @worldhackathon on Twitter.